FlashStack: Supercharging Your Data Centre with All-Flash Converged Infrastructure - Eclipse Technology Solutions Inc. Consolidation, convergence and cloud – three trends that are shaping the future of the data centre. Today, organizations are adopting data centre designs with fewer systems, unified operations and IT-on-demand in order to streamline and simplify operations and deploy more workloads. Converged infrastructure is a pre-validated data centre design that incorporates compute, storage and networking. As the cloud has grown in importance for businesses, converged infrastructure has proven to be a source of innovation, as well as a channel for groundbreaking technologies that are driving new efficiencies in the data centre. What do we mean by this? While there are several converged infrastructure solutions on the market, most are similar in their compute and networking platforms. The key differentiator is in the storage platform. Flash storage has become the de facto standard in storage. Converged infrastructure solutions, which incorporate flash into their designs, are experiencing impressive results. When evaluating converged infrastructure for your data centre, it comes down to choosing the storage vendor – the key differentiator in a converged infrastructure solution. FlashStack is an all-flash converged infrastructure solution that combines Pure Storage FlashArray with Cisco Unified Computing System (UCS) to supercharge your data centre. Simplicity: The pre-validated data centre design helps to eliminate risk and provide standardized application deployment through UCS profiles. With a choice of management platforms and the ability to manage everything from one place, administrators have more time available to focus on higher value IT projects. Efficiency: Pure Storage Flash Array delivers all-flash performance with no downtime, non-disruptive upgrades and evergreen architecture. The data centre is always on, able to handle demanding critical workloads with ease and without tuning. Flexibility: A modular design allows you to scale as you grow and is supported by a flexible consumption model and support model. What’s more, the business can capture technology innovation without having to rip-and-replace. Lowest TCO: FlashStack delivers faster deployment, reducing time-to-value and providing out-of-the-box automation of comment tasks for low on-going operation overhead. FlashStack also reduces power, cooling requirements and footprint. Want more information on FlashStack? 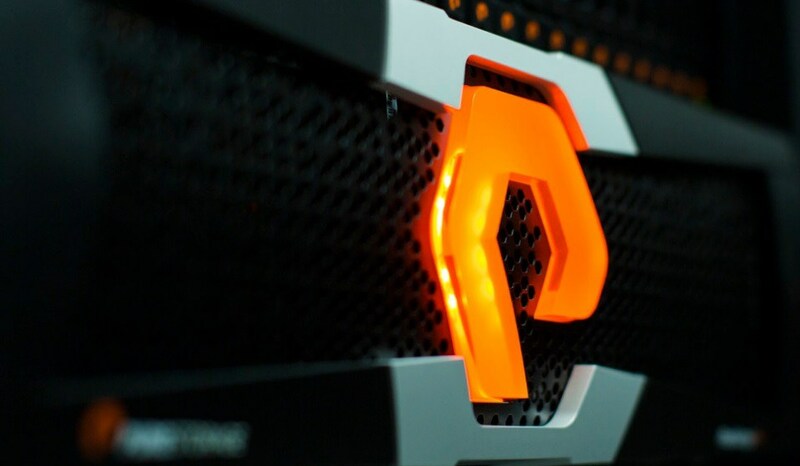 Read the white paper from Cisco and Pure Storage that shares the Top 5 Reasons to Choose FlashStack. Ready to supercharge your data centre? Get in touch today to discover if FlashStack is the right converged infrastructure for your data centre.